Delightful 2 bdrm, 2 bath in desirable 'Cedar Ridge' in Langley's Walnut Grove community. 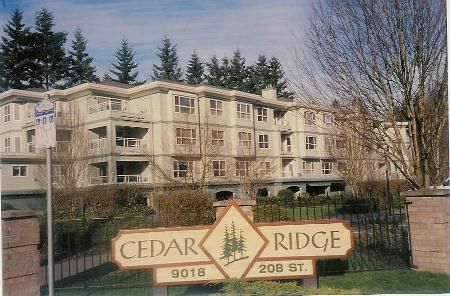 Spacious unit w/entertainment sized LR/DR w/cozy gas f/p & dr to balcony. Efficient kitchen w/scads of cabinets, E/A & pass through to din rm. This is an absolute must see for the discerning Buyer looking for super 3rd floor apartment Walnut Grove. Well managed restored building w/hardy plank siding, spacious lobby, elevator, secure underground parking & strategically located adjoining integrated system of walking trails & close to Walnut Grove pool and amenities & w/easy access to #1. 2 bdrms are separated by the living area for your complete privacy. Master w/4 pce ensuite. 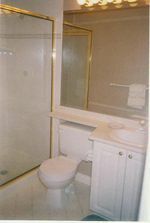 2nd bath loc close to 2nd bdrm. The good life just keeps getting better when you make this fine home your own.